With its upcoming game bringing in $100,000 a month in pre-order revenue alone, you would think that developer Snapshot Games is sleeping easily at night. "If there's one thing that keeps us up, it's that there are so many services that are launching and giving games away," explains David Kaye, co-founder of Snapshot, the studio fronted by XCOM creator Julian Gollop and creator of the XCOM-alike Phoenix Point. "And they're not just giving away old games, but fairly new ones. Between Steam sales and services like Humble Bundle and all that stuff, there is so much... If you want to play a really good game, there are great indie games that are not very expensive. There are games that were full price a little while ago that are now almost free. Deus Ex: Mankind Divided didn't come out that long ago, and it's basically free now. "Things like Game Pass... You can play Sea of Thieves for just a few quid. Microsoft and others are launching these services where you pay $10 a month and you can play some amazing new games. "That means, in terms of selling your game, you can take nothing for granted. Because there has never been a better time to be a consumer of media. It doesn't just apply to games. It applies to TV. If you want to play a game of any category you can think of, you have options. I am old enough to remember a time when, in terms of what I was interested in, there would be periods where there was nothing that good to play or watch. That is not a problem I have now." Yet Phoenix Point has clearly risen above the noise. After a successful Fig campaign brought in $766,000 (smashing its $500,000 target), the firm has launched its own pre-order initiative that, according to Kaye, is currently delivering $100,000 a month. That's been helped by a launch trailer that was viewed by almost 1.5 million people, and a targeted Facebook advertising campaign. "We've been more active than most indie developers on Facebook, with ads and things like that," Kaye explains. 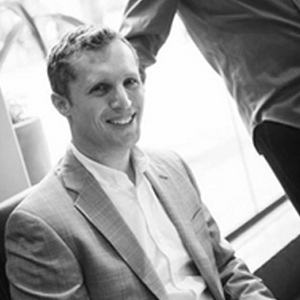 "We saw a huge difference in terms of how effectively you can acquire customers and drive pre-orders." "In terms of selling your game, you can take nothing for granted"
He continues: "There's never been a better time to find your audience. Because before, to find out who would want to buy your game and what your consumer is interested in, you'd have to commission a big research study and spend loads of money. Now I can go on Facebook analytics and I can see that, for fans of Phoenix Point, amongst their favourite TV shows is Babylon 5, for example. You can find a lot of interesting information about people that way." With an advertising campaign that appears to be working, major revenue coming in and a lot of hype around Gollop's return to the genre that made him famous, what exactly is there to worry about? "I am not the best PR spin guy, because I'll just tell you all the things that worry me," jokes Kaye. "This genre is a category that has been underserved, but you have to assume that that won't remain the case forever. People will come along and fill that gap... so we take nothing for granted. "In Julian, we have some real pedigree in the genre, and he is working hard to make a really great game. There's never been a better or worse time to launch a game, in some ways. You just have to be hyper conscious of all the things that could mess you up, and try to mitigate against those as best you can. "Hopefully I don't seem super negative. I am very excited about what we're doing. It's just the realities of the environment we are in, the things that are going on out there. You just can't take anything for granted. "We have a lot to achieve. We are going to be compared to the new XCOM games, but we have a lower budget and a smaller team. Yet we have to deliver, because we will be judged against [XCOM]." 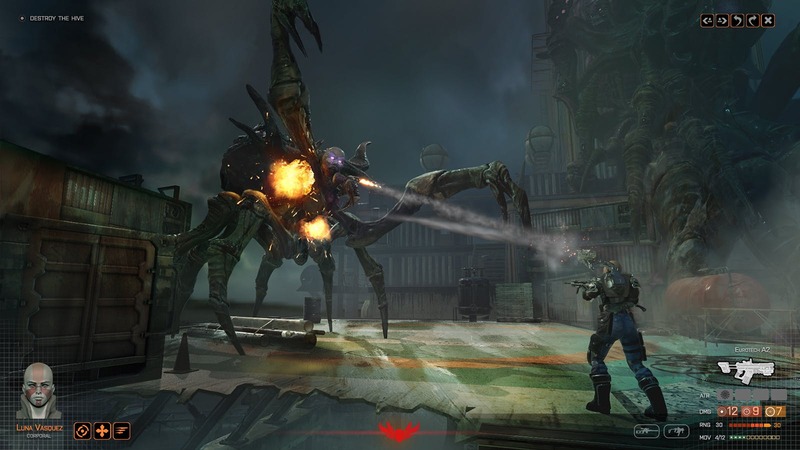 Kaye's concerns isn't so much about Phoenix Point being successful, but whether it can achieve the ambitious goals the company has set itself. Snapshot Games, based in Sofia, Bulgaria, now has 28 staff. A year ago it had about eight. This is the studio's second game after 2015's Chaos Reborn, a game that did extremely well on Kickstarter, received a decent critical reception, but didn't do too much more than that. "We are going to be compared to the new XCOM games, but we have a lower budget and a smaller team"
Phoenix Point is a big bet for the studio. This isn't like Chaos Reborn. It isn't a one-shot release and then move onto the next one. The team has plans that go beyond expansions. In fact, there's been four ebooks set in the world of Phoenix Point already. "Excuse me for using the word franchise, but that's how we see it," Kaye says. "We're taking it pretty seriously. We are about to publish our fourth volume in the ebook series. There's a very long, rich storyline and the world has been clearly thought through. We are thinking a lot more than just how to make a really good campaign game. We are asking ourselves what will people be doing with this in three years. Some of those things will be fairly obvious - expansions and things like that - but some of our other ideas are a bit more out of the box. We have some interesting concepts in terms of how to extend it." We conclude our conversation by suggesting that perhaps Phoenix Point could simply turn up on other platforms outside of PC and Mac. Last year, when we spoke to Gollop, he told us that his backers didn't want a console version. But that was just a month after Switch (and before Mario + Rabbids) reignited excitement in the console space once again. Has the view changed? Kaye wouldn't commit to anything at this point, but he acknowledges that although backers may not have wanted a console edition, that doesn't mean there isn't demand for it. "We would love to [do a Switch version], if we can find the money to do it," he insists. "Certainly PC is the home for this type of game and the lead platform. But games like this, if you think about what you're doing, yes it has certain hardware requirements, but then things like touch interfaces... if you've played XCOM on an iPad or something like that, it is a pretty decent experience. You have to meet people wherever they are. "Certainly for us, the core audience is going to be on PC first. But the question we get asked the most is, 'Are you going to do this on console?' We get asked that so much."